The Ontario Immigrant Nominee Program has issued Notifications of Interest under the Human Capital Priorities stream to targeted individuals in the Express Entry pool. Foreign nationals who receive a Notification of Interest have a greater chance of receiving an invitation to apply for permanent residence. Meet the HCP stream criteria and have French language skills at the Canadian Language Benchmark 7 or above in all language abilities. Foreign nationals who receive a Notification of Interest will have a greater chance of receiving an invitation to apply for permanent residence because the nomination adds 600 points to their total Comprehensive Ranking System (CRS) – which is a points-based system used to assess and score foreign nationals’ profiles and rank them in the Express Entry pool. Applicants were selected from the information and communication technology sectors due to current labor market needs and provincial economic development priorities. Foreign nationals in the express entry pool with a CRS score of less than 400 are now eligible for a Notification of Interest from the OINP, which increases their chance of receiving an invitation to apply for permanent residence. It is not known at this time if a similar draw will take place in the future. The targeted search was performed to help Ontario gain the workers it is lacking in the labor market, and to be more responsive to employer needs. French-speaking candidates were targeted in order to help achieve Ontario Immigration Strategy’s goal of having five percent Francophone immigration. This alert is for informational purposes only. If you have any questions, please contact the global immigration professional with whom you work at Fragomen or send an email to canada@fragomen.com. 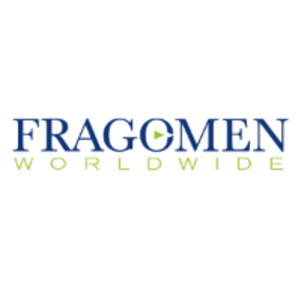 Fragomen, Del Rey, Bernsen & Loewy, LLP, Fragomen Global LLP and affiliates, (collectively known as “Fragomen Worldwide”) is the world’s largest firm dedicated to corporate immigration, and is recognized as the leading global immigration services provider.